We have established our small local family run company since 2004 starting off with 1 man and a van growing into a small fleet of 7 running vans, which still all push our values of a small local family run company. 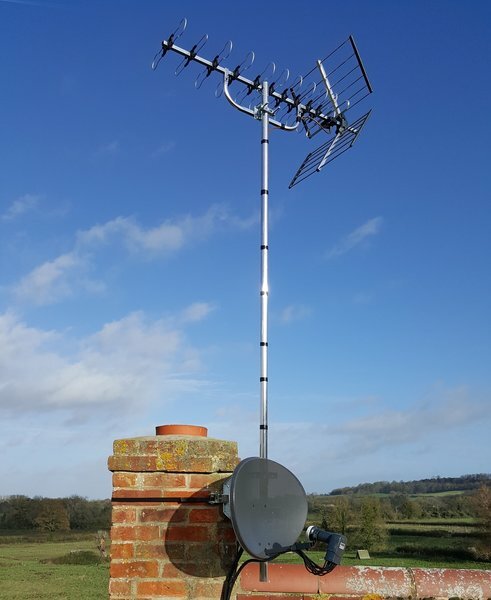 At The Aerial Man, we thrive to offer you everything in relation to your television and audio needs, offering you the highest possible level of service at affordable prices. ﻿Our friendly office team are on hand 24 hours a day to deal with your calls, to arrange with one of our professional engineers to come direct to your property at a time to suit you for a free 1-to-1 consultation and offer you a free quotation to have everything working, exactly how you'd like it. All of our certified engineers carry identification cards which they will be more than happy to show you on request, and all drive signed vehicles, so you know you're getting the highest possible service, direct from us, your local TV aerial and satellite specialists. In 2011, we became official Humax trade partners. Dale arrived promptly, identified the problem, suggested solutions and completed the job very quickly and efficiently. 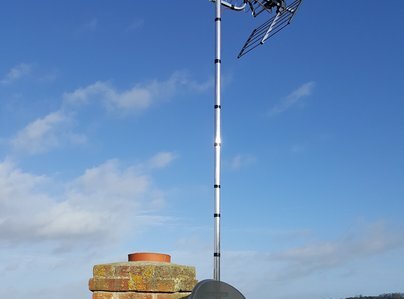 We had an old existing aerial that had been up for years and during the windy weather the cable had broken and part of the aerial had fallen off. I contacted The Aerial Man via the internet on Sunday and they phoned Monday to come and give us a quote the same day. We decided to go ahead with a new aerial and much to our surprise they did it there and then! Lee was very friendly and professional he checked everything was working correctly before he left. Would highly recommend the Aerial Man I cannot remember the last time I had such a prompt good quality service :-) . Paul the engineer turned up dead on time and was very professional, there were a few hiccups but he sorted them out for us. He was very clean and tidy. He suggested a few things we could try and the bill was as expected. Well done great job. Thank you for the positive review! We'll pass this onto Paul - thank you very much. Kind and polite. Efficient. He did the job quickly. Very easy to deal with. Good back office support. Knowledgeable installer & clean worker with a pleasant demeaner. Thank you, Andrew - very nice of you to say! A job well done. I couldn't wish for a better firm to do the job. We will pass on such positive feedback to Andy. Thank you very much! Andy quickly sorted out our problem and found a nice and simple solution which was implemented efficiently. He removed the old satellite dish making making the area safe again. I found the aerial man very satisfactory, he was professional, helpful and the service he provided was very good, no complaints. I only expected a quote this morning - but as soon as I agreed the cost, the installation was completed straight away. Excellent standards, a job well done by a professional at a competitive price and no waiting - exceptional! Highly recommended.